Many of us are thinking that 2016 turned out to be a pretty rough year. A few of the reasons this year will go down as particularly difficult have to do with health care crises, the biggest of which we will discuss in today's post. 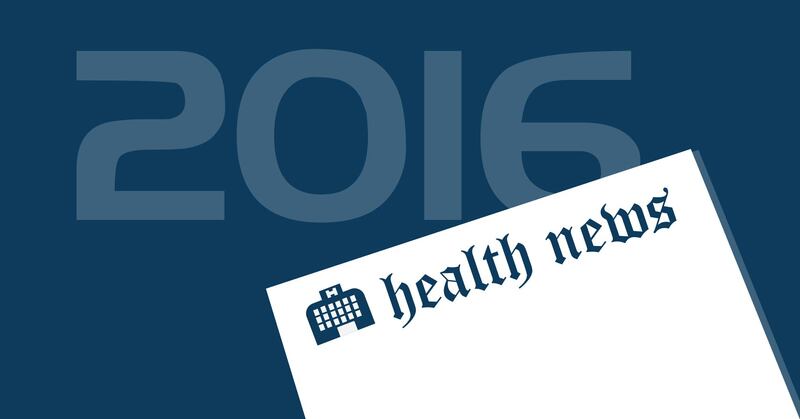 This won't be a smooth ride, so buckle up and get ready to explore 2016's biggest health issues. Perhaps the quietest disaster was the discovery of a colistin-resistant strain of E. coli. Long considered the "antibiotic of last resort," colistin is currently the only medical therapy for infections from multi-drug resistant organisms (MDROs), especially those in the Carpabanem-Resistant Enterobacteriacea (CRE) family. However, during routine reporting of resistant pathogens, a strain of E. coli was found that contained a colistin-resistant gene in a mobile genetic unit called a plasmid. This mobile gene is very easily transferred to future generations as well as cell-to-cell, making it even more dangerous. The first case from May of this year found the resistant gene in a strain that was still susceptible to other antibiotics, but a case from August revealed a strain that was resistant to both colistin and carpabanems. Thankfully, this strain did respond to other antibiotics and did not lead to an outbreak. However, we should not become complacent, as it is only a matter of time before a strain acquires even more resistant genes. One of 2015's biggest health stories was the outbreak of superbug infections traced back to contaminated endoscopes in several facilities. This year, the FDA submitted a report to Congress detailing the extent of outbreaks related to these devices, revealing that approximately 350 infections were caused in 30 American facilities and 11 facilities overseas. This report resulting in a bill that would require tighter regulation of these and other devices, from design to maintenance. Information about this issue discovered this year also revealed that some devices are even lacking the credentials required to be sold, since design changes require a new clearance from the FDA. As of today, this bill has been referred to subcommittee. The world learned about Zika most dramatically in the months leading up to the Summer Olympics to be held in the Brazilian capital city of Rio, the country where the virus was first detected. The CDC was involved in tracking and monitoring the spread of the virus, and began creating predictive models to prepare for the inevitable arrival of the virus on US soil. That arrival took place in June, when the first cases were recorded in Florida. That state would come to have the greatest number of Zika cases, with 969 total cases. However, unlike the close second, New York (944 cases), a large percentage of those cases (184) were locally-acquired, directly from a mosquito. This led to four neighborhoods in Florida being determined "Active Transmission Areas," where efforts focused on limiting travel (especially to pregnant women, whose unborn fetuses can develop birth defects as a result of the virus), and mosquito control efforts. Mosquito traps were also used to test for infection and target spraying. The last of these four neighborhoods was removed from the Active Transmission list earlier this month. Thankfully, despite the unpredictable nature of the Zika virus, the CDC's advanced modeling was able to accurately predict the movement of the virus, leading to the effective control of the pathogen. Perhaps the biggest story of 2016 was the US Presidential Election. President-elect Donald J. Trump has announced some of his administration's plans for healthcare reform. The most significant impact to US healthcare would be his plans to either repeal or alter the provisions under the Affordable Care Act (ACA). Some of the Trump administration plans, under newly-selected Health Secretary Tom Price, could include age-adjusted tax credits for purchase of health insurance, health savings accounts, subsidies for at-risk populations, and the ability to buy health insurance across state lines. Less clear is the extent to which Medicare and Medicaid funding would be affected, or the ACA provision that forbids insurance companies from denying coverage to patients with pre-existing conditions. Trust in science has taken a blow in 2016. A 2016 Pew Research Center survey revealed that Americans are pretty skeptical when it comes to what scientists understand about climate change - only 39% of US adults trust what scientists have to say. This is a great concern to the scientific community, who must seek out ways to demonstrate that the results of their work are unbiased and trustworthy. One particular news story did not help in these efforts: A UC San Francisco study revealed that research from the 1960s was skewed to cast blame on fats rather than sugar on heart disease. Through funding from the Sugar Association, research that blamed fats was elevated while studies that pointed to sugar were squashed. This result of this campaign is 5 decades of misinformation about the role sugar plays in coronary heart disease, even affecting a report from the FDA. While this information has since been corrected, it will be difficult to overcome the effects of this skewed presentation of science. This story should be a reminder to us all to closely examine the funding behind the research we encounter, seeking out the research that comes without industry dollars. Opioid addictions are not new news - The drug has been used and abused for centuries. What makes 2016 particularly significant is that research has demonstrated that addictions and deaths nearly doubled in just one year. Opioids, which include banned narcotic heroin, also include prescription drugs such as oxycodone, methadone, morphine, hydrocordone, and fentanyl. This last drug, fentanyl, is particularly dangerous. At 50 times the potency of heroin, fentanyl is not only sold illegally by dealers, it is heavily - and carelessly - prescribed by doctors. Patients who become addicted to prescribed fentanyl may then go on to buy illegal versions of the opioid and spiral into an almost irreversible tailspin that ruins their lives and the lives of their families and children. The CDC calls the current crisis an epidemic, with overdose deaths quadrupled since 2010. Furthermore, the illegal drug market is flooded with synthetic forms of the drugs, created in labs in China and brought into the US across the border with Mexico. CDC director Thomas Friedman addresses the crisis with an analogy: "A person on a riverbank saves one drowning person after another, before stopping, exhausted, to think - how can I stop people from falling in the river?" He believes the influx of cheap and potent synthetic opioids is that river, but how to protect Americans from falling in is a complex problem that starts with limiting legal prescriptions to opioids. That wraps up our take on 2016. We will continue in a future post with a review of the year for EOSCU, and finally some predictions for health trends in 2017. Until then, have a safe and happy holiday season!